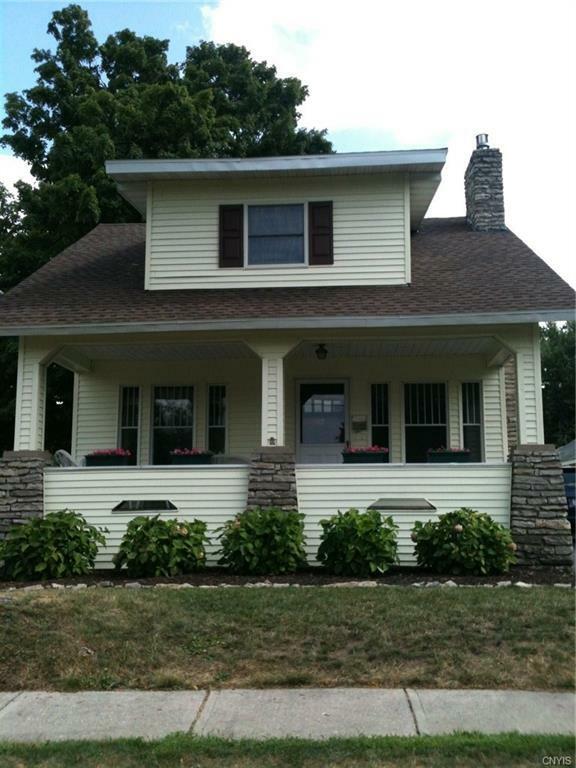 Charming 3 bedroom 2 bathroom craftsman home overlooking Thompson Park. Close to schools, hospital, shopping & restaurants. Home has been well maintained with a new roof and garage door. Beautiful front porch with Trex decking to enjoy a cup of coffee or choose the deck facing the park. New laminate flooring in the living room. This home also has a gas insert in the original stone fireplace and offers central air for those hot nights in the summer.Great backyard! This home is turn key! Come take a look! Directions To Property: Thompson Blvd To Franklin Street To East Avenue.